We focus on the environment. We live and work in one of the most beautiful areas of this world. The natural diversity as well as the clean drinking water from the mountains are partially responsible for the high quality of life. In addition to creating value for its customers, Getzner Textil pays particular attention to the protection of the environment in its product development. In the textile industry, the finishing process generally requires a considerable amount of energy, water and chemicals. We have a unique, forward-thinking environmental policy that enables us to ensure the company’s location in the long term. We use state-of-the-art technologies to protect people, the environment and natural resources, and regularly implement appropriate measures in a targeted manner. 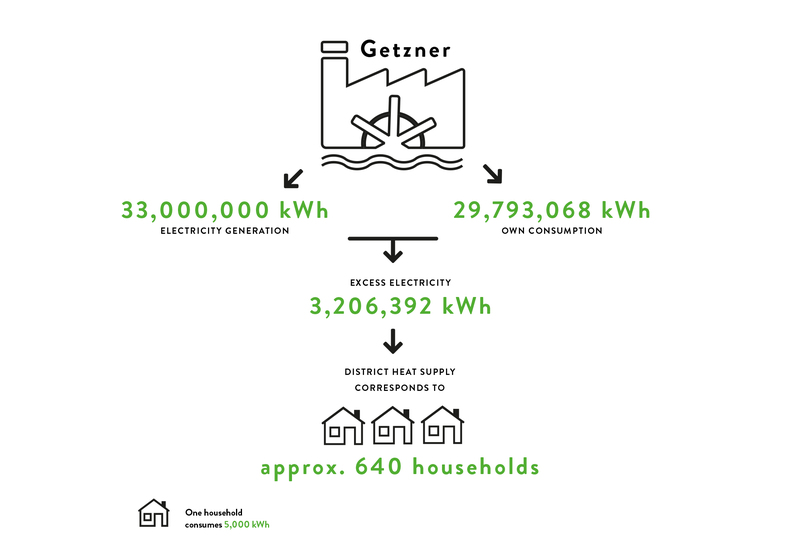 The hydropower stations of the Getzner Group produce more electricity than the company’s annual requirement. Getzner therefore makes a considerable contribution to the energy independence of Vorarlberg. The specific electricity consumption is approx. 7 kWh per kg of manufactured cloth. Within the last three years, the specific heat consumption of approx. 16 kWh/kg of cloth has been reduced to 12 kWh/kg. Natural gas is the only energy source used for the process heat. Through process modifications and technical measures, it has been possible to reduce the specific amount of generated waste in recent years from over 300 l/kg of manufactured cloth to 80 l/kg. Energy savings – those who save, have. Our own small hydro power plants generate 33,000,000 kWh, which is higher than our consumption, which is about 29,793,068 kWh. An average household consumes 5,000 kWh. This means that our electricity generation could supply 6,600 households. Geztner is trying to consume as little heat, water, and electricity as possible. Most of the quantities that are not consumed are recovered and reintegrated into the Geztner cycle. The remainder of the energy supplies public facilities. 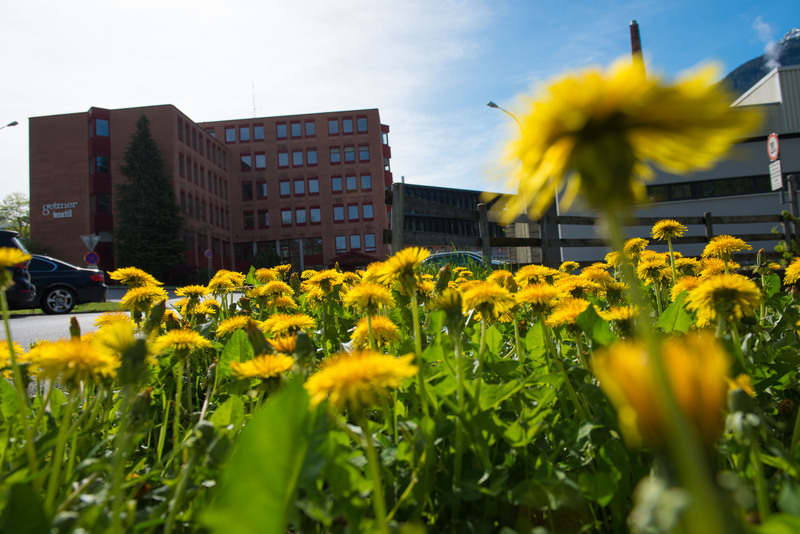 The primary school, secondary school, Caritas, the Federal Training Centre, the teaching hotel Rätia, as well as the Special Education Centre (General Special Education School) in Bludenz use our district heat. Consistent process modifications and the use of cutting-edge exhaust systems in the finishing department have continuously improved air emissions. We are constantly striving to reduce the amount of waste we produce. Packaging waste has been significantly reduced in close partnership with our suppliers, and over a period of three years, it has been possible to reduce fabric waste per kg of manufactured cloth by 36%.